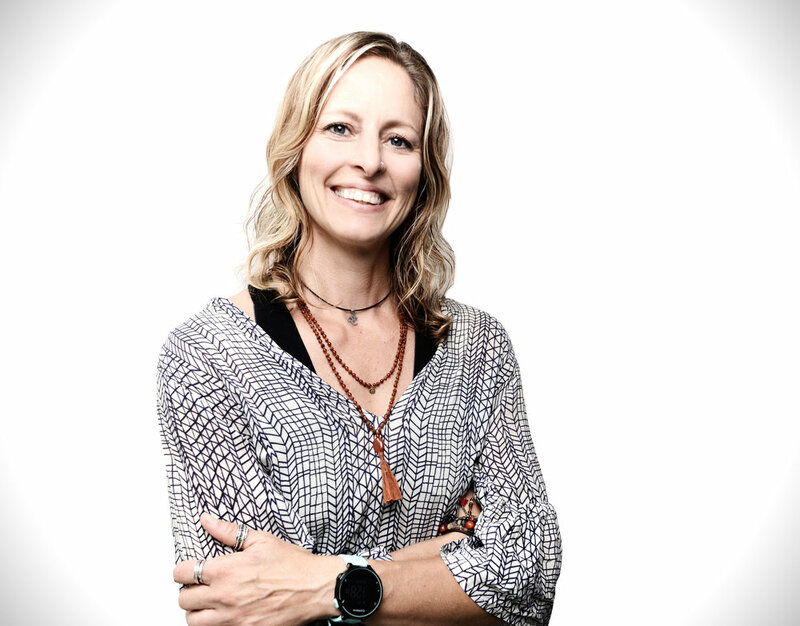 Kamie Slegers is recognized throughout Minnesota as an accomplished yoga teacher and advanced practitioner. She has been teaching yoga since 1996, starting in southwest Minnesota where she discovered yoga and at Southwest State University. She used yoga to rehabilitate her injuries caused by overuse playing collegiate volleyball. She quickly realized that a blend of exercise science and yoga would benefit students and athletes who have injuries while also reaching out to those who are sedentary and may not exercise regularly. Kamie’s depth of knowledge provides her with the ability to cater to her students and give them individualized care. Her enthusiasm is contagious, guiding the timidest students to discover their true abilities and reach their potential. Her classes have beautifully crafted sequences developed through her degree in Exercise Physiology and Human Movement along with her diverse training in Yoga Therapy and Ayurveda. She has continued her education as an Ayurveda Practitioner and Yoga Therapist. Her years of experience give her the ability to teach yoga, creating yoga workshops and programs on a variety of topics ranging from anatomy and structure to depression and anxiety, while also consulting clients in lifestyle changes, women studies, weight management, cancer care and more. She has completed training in Yoga Therapy, Prenatal Yoga, Birth Doula, Meditation, Cancer, Ayurveda, Marma therapy, nutrition, herbs, cooking, and continues to study. Her dharma (life purpose) is very clear when you are in her classes and workshops. She is currently working on programs with in-depth personal practices and self-care developed throughout her practice. Kamie is no stranger to the process of healing and frequently relates to others’ experiences, guiding from her own challenges and struggles. She is also facilitating a 200-hour teacher training program to share her accumulated knowledge in life and the various training sessions that she has considers herself blessed to have taken over her years as a practitioner. Kamie is a business owner-operator. She develops her own yoga classes and workshops and has begun to develop a line of herbal teas and recipes. Her beloved certified therapy dog, Rufus, is available at the studio to provide additional comfort and joy to her students.